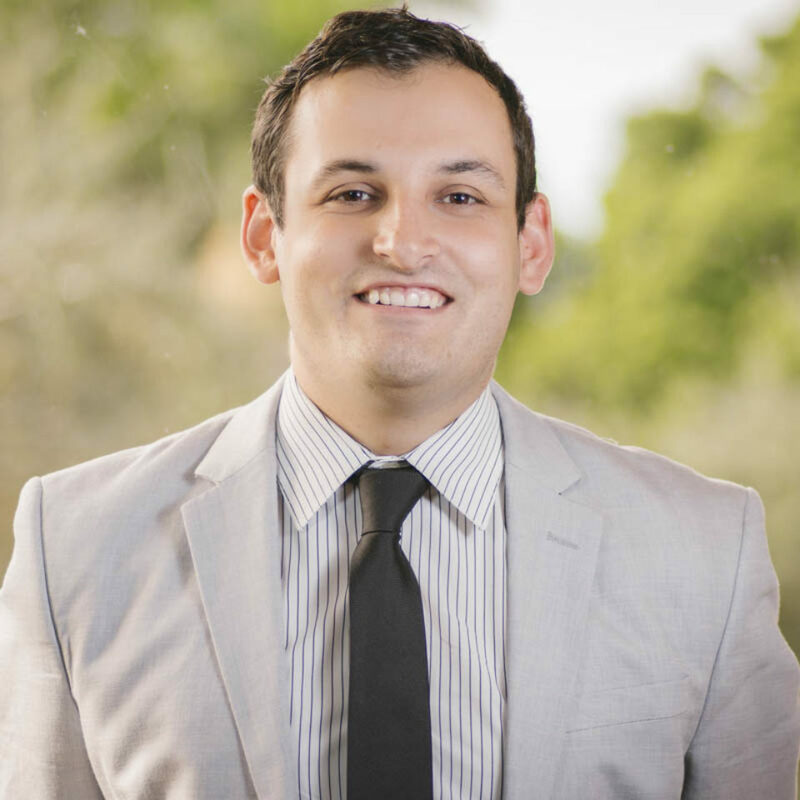 Last week, we started our conversation with Freddy Glitman, Associate Director of Admissions at Lynn University. We talked about the unique features of Lynn, including three-year bachelor’s degrees and iPad-based learning instead of textbooks. Freddy gave us some insight on which characteristic traits impress him the most amongst prospective applicants. Click here if you missed last week’s issue. This week, we continue our conversation to learn more. Mercy at SocratesPost: What have you noticed about the changing landscape on college admissions? Freddy at Lynn: It’s unfortunate — and this is speaking with other colleagues and peers of mine — but the number one issue that we’re seeing in today’s society is really a high level of anxiety among 17, 18, 16 year olds. We tell students some of the best days of their lives haven’t happened yet, but yet they succumb to this anxiety through different aspects whether it be “This is my dream school and if I don’t get in my life is going to be over.” It’s not. There’s over 4,000 schools in the United States. You’re going to find the right fit. And then just the issues with social media as well. there’s just so much of “keeping up with the Joneses”: “I’ve been accepted here” and “oh, how come I haven’t heard back?” So, our concern right now in higher education is dealing with anxiety of students. It’s unfortunate but we’re reading more and more across the board about depression, bipolarism, anxiety, and unfortunately, suicide attempts. Mercy at SocratesPost: Definitely, and that’s a big concern especially among high school students who want to accomplish a lot in life. It’s so easy to compare yourself to the next person because you’ve got everybody’s news all over the place on Facebook, online, down the street. What do you think is the solution to that? Freddy at Lynn: That’s a great question. Mercy at SocratesPost: Or maybe there isn’t a solution yet. Freddy at Lynn: I don’t think there’s a solution yet, but there should be a solution soon and that’s why I’m really excited for the individuals that are coming in into Lynn. They’re going to be great leaders and really with the leadership that’s arriving, the only way that we can resolve this issue is going to become through transparency. I believe it was the Dean of Admission for Stanford who mentioned that he no longer wants to display his acceptance rates to the public, which makes complete sense. When I’m at a panel families always ask, “what’s your admission rate?” but we always respond “why is that important?” Shouldn’t the most important aspect be the career placement? How is my son or daughter going to grow? So the solution behind all that has really come down to transparency between families, college counselors, and college representatives. Mercy at SocratesPost: That’s a good point and it also seems like there should be some importance placed on why you’re trying to go to college. Are you trying to go so you can be able to drive in your career or are you just trying to get in to the one that has the lowest acceptance rate? You’re encouraging people to find what college means to them. Is it the ability to contribute to leadership? Is it the ability to make connections and keep them for a lifetime? And those are the things that progressive colleges are encouraging their students to figure out when they’re applying. Mercy at SocratesPost: That’s great. Tell me a bit more about how the interviews play a part in Lynn University and admissions process. Freddy at Lynn: Sure, so with us, really the interviews could become a deal-breaker relatively fast. We’ve had some very positive interviews; we’ve had some very negative interviews. Even though we have 20 or 30 minutes to review a file, it’s very difficult within 20 or 30 minutes to see the last 4 years of a student’s life: their highs, their lows, their middles. When we bring a student in for an interview, we don’t want them to tell us what we want to hear. We just want to know their story, because the more we know the student, the more we can make that determination on ‘Yes the student has this potential that we can help reach’ or maybe the student isn’t ready yet and we don’t have the resources for them to be successful. To me, what makes Lynn University best is the leadership between the president, my director of admission, my vice president. They always remind us we’re here to recruit graduates not students. We want to make sure they’re going to be successful in the real world and there’s no reason to bring in a student that’s going to struggle tremendously. Mercy at SocratesPost: That’s a good plan; you’re being proactive about it and looking ahead, predicting how a student might fare in the four years. What was one of your most memorable encounters with a prospective student? Want to read this admissions director’s best and worst encounters with applicants, his thoughts on secrets to admissions, and best piece of advice for high schoolers? Mercy at SocratesPost: Wow, that’s incredible. What are some of the interviews you’ve had with students that ended up being not so good and maybe you had to decline their application? Mercy at SocratesPost: I enjoy these anecdotes, learning from your experience, and having this profile in my head that I can imagine. What should parents and students be aware of now that wasn’t relevant to someone applying to college in the past? Mercy at SocratesPost: That’s great. Many applicants believe that there are secrets to college admissions. Are there any secrets and what are they? 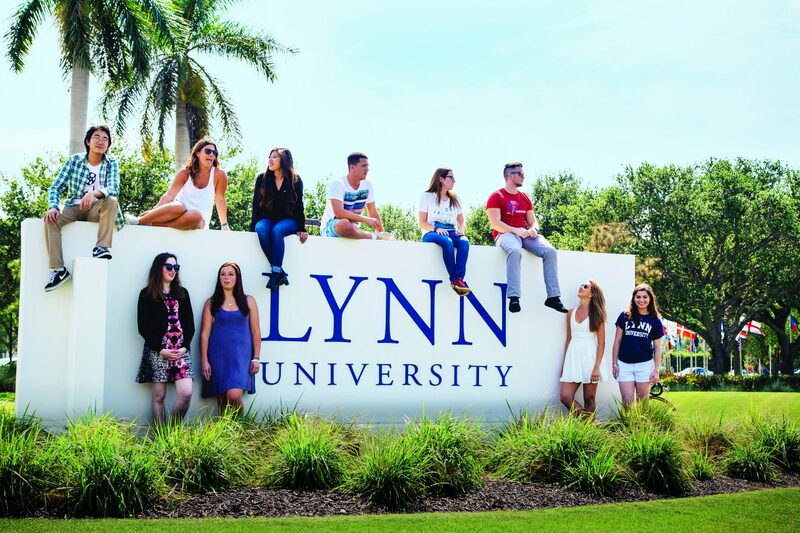 Mercy at SocratesPost: What is your best piece of advice for applicants vying for a spot at Lynn University or their college of choice? Mercy at SocratesPost: Last question. At 16, 17 years old, many students aren’t too sure who they are yet and you ask them “Can you be yourself?” and they tell me “I don’t know who I am. How do I see myself?” In that regard, what do we tell the students who aren’t sure who they are? This week, we selected a question from Zachary in San Francisco. Coding bootcamps have already become a desired alternative. No need to wait for it to “eventually” become an alternative to four-year colleges. Online academies like AppAcademy, General Assembly, Flatiron School, Coding Dojo, etc. have popped up in recent years as a response to the demand for coders in Silicon Valley to support the tech scene. Most of these academies don’t require any previous professional experience. Admission involves solving coding problems and an interview — much less complicated than the traditional admissions requirements for four year degrees. The difference is that most of these online coding academies guarantee a job as a software developer or programmer and don’t charge tuition until you’ve been hired. They advertise high average starting salaries for most of their graduates, ranging upwards of $110k. App Academy only asks for tuition once hired as a developer. Flatiron School offers a money-back guarantee for students who don’t land jobs within six months. Tuition costs about $15,000. Thinkful only asks for tuition after you’re hired — at 15% of your income. Your typical college won’t give you a refund if you can’t land a job in your field after graduation. 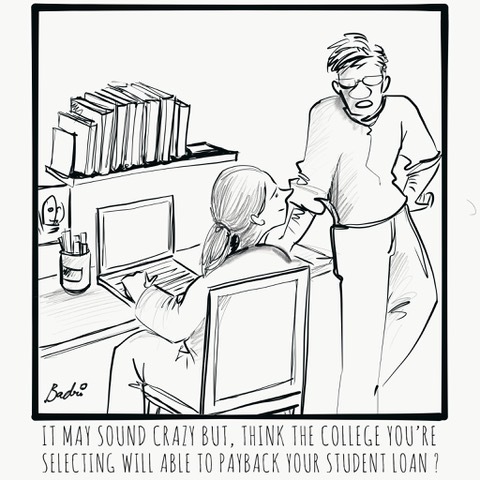 They most certainly won’t defer tuition until you sign an offer. Unlike traditional Bachelor’s programs that aim to instill more than job skills, these alternative institutions focus on teaching practical, on-the-job, pre-professional skills in an intensive, immersive, and fast-paced environment. With concerns of unemployment among recent college graduates, these online coding schools offer a more predictable educational investment. However, despite the boom in coding schools, there’ve been some failed academies. Dev Bootcamp (a Kaplan-owned company) and Iron Yard (a University of Phoenix-owned company) both shut down operations in 2017. The main reason? Not keeping up with employer demands. Want to read the rest of our analysis on intensive, short coding bootcamps vs traditional college degrees? Members have full access. In what ways do college selectivity and rankings matter? 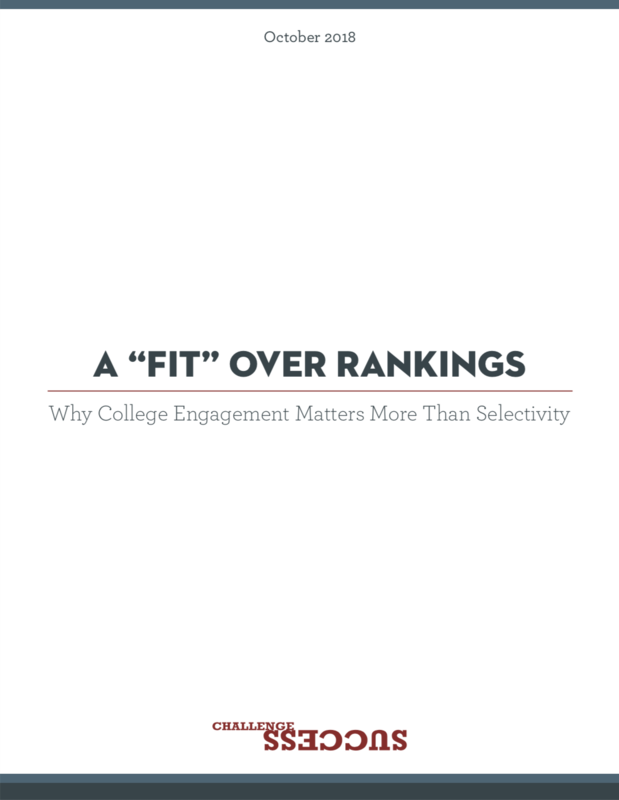 A non-profit associated with Stanford’s Graduate School of Education conducted a deep dive study into “fit” over “rankings” and why being engaged in college matters more than attending a selective college. SocratesPost reviewed and summarized this 22-page white paper so you can learn the empirical data behind selectivity and fit. Here are 3 questions answered by the study. Do rankings define quality of education? Does college selectivity predict learning outcomes, job satisfaction, or well-being? What’s more important than the selectivity of the college I attend? 1. Do rankings define quality of education? No. According to the study, “traditional college rankings measure a set of factors that are weighted arbitrarily, drawn from data that are most easily quantifiable and comparable, sometimes poorly documented, and not always relevant to undergraduate education. There are better ways to choose a college than to rely on rankings and selectivity as the main criteria” (9). SocratesPost did a dive into the methodology behind popular college ranking publications. Check it out here. 2. Does college selectivity predict learning outcomes, job satisfaction, or well-being? “Little evidence suggests that selectivity is related to measures of students’ self- reported gains in learning, let alone verbal, quantitative, or subject-matter competence measured by standardized tests. This finding, which has been consistent over the past 40 to 50 years, has implications for college choice, family finances, and public policy, particularly as students, their families, and policymakers deal with the differential allocation of resources of publicly supported institutions. Accounting for student background characteristics, the weight of evidence simply does not support students’ or policymakers’ beliefs that a selective admissions process enhances student learning. (p. 96)” (10). Want to read the rest of our answers to the 3 questions, plus our 4 quick takeaways?